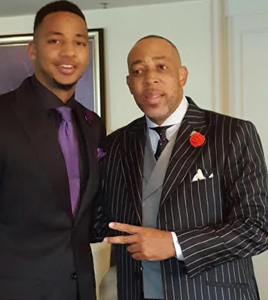 He has done it time and time again and with a growing list of clients daily from NBA and NFL Draft to head coaches in the NBA and in College Basketball Clarence Jones keeps putting in work like no others. The best friend of former NBA Superstar Tim Hardaway Sr. (now Detroit Pistons Assistant Coach) and Chicago born and raised Mr. Super Suit strikes again in the 2k16 NFL Draft. With clients such TCU All-Big 12 WR Josh Doctson (1st Rd #22 overall #HTTR) and ‘Bama All-American DT Jarran Reed (2nd Rd #49 Seahawks) in this year’s draft Jones was bringing the heat. 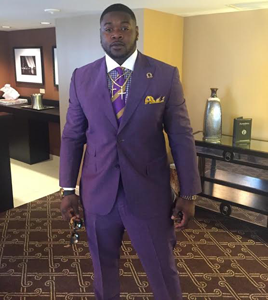 Reed’s custom-made duds (voted ESPN best dressed for the 2K16 NFL Draft) were Purple and Gold as Reed is a member of Omega Psi Phi Fraternity INC. and C.J. 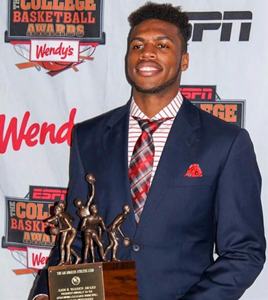 was quick to note with many calls for that same suit after Reed wore to make it again. Like a great artist Mr. Super Suit wants his clients to fill their “Duds” are never coming and going so Reed’s purple and gold ensemble was 1 of 1 and will never be made again as I heard that from Mr. Super Suit himself! All-SEC Performer #RollTide/Seahawks DT Jarran Reed Omega Psi Phi Fraternity INC.
As for the 2K16 NBA Green Room the Bluedude will be hooking back up with Mr. Super Suit as there will be a few more one of one Suits all over the T.V. com elate June 2K16…stay tuned!